Everybody has heard of the Elgin Marbles and the debate surrounding the right’s of countries to those artefacts. These marbles are famous the world over but this story is repeated many more times not just in archaeology, but palaeoanthropology also. Zambia was once a colony of the British Empire and it was during that time that a certain hominin skull E 686 was uncovered. This skull is now lies in the vaults of the South Kensington Museum, London. 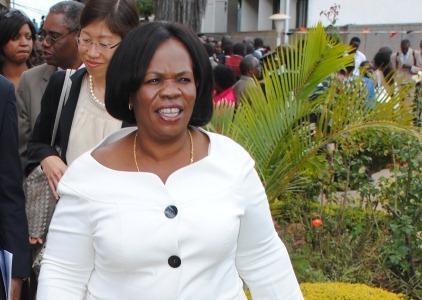 In Zambia, Deputy Minister Susan Kawandami (pictured) recently reported before the Zambian Parliament that years of talks failed to secure the return of E 686 to Zambia with the Natural History Museum, London prepared to make copies of the skull instead. Kawandami will now establish new discussions through UNESCO, while Minister of Chiefs and Traditional Affairs, Nkandu Luo will visit London to establish a dialogue with the Trustees of the Museum. If the Natural History Museum is ever to return the fossil, one thing is for sure, Zambia will have to convince the London Museum, that it is proactive in heritage (particularly palaeoanthropological) promotion and will ensure great care for the priceless skull. Which is currently not the case. 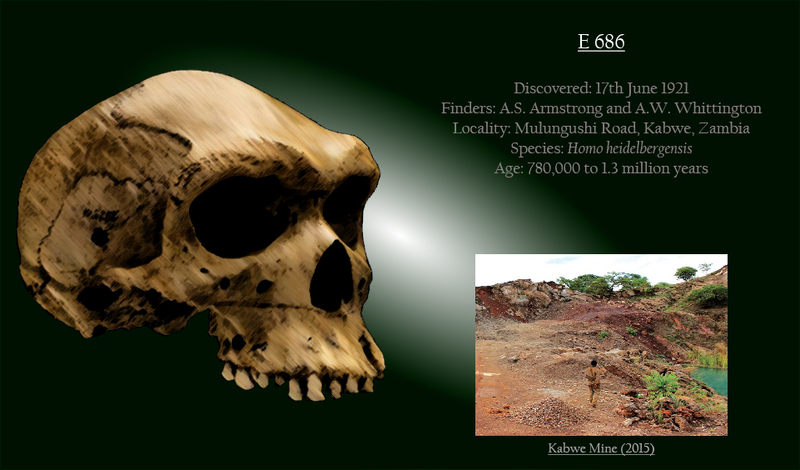 The famed locality has no interpretative centre, no sign, no indication that two pivotal hominin bones – E 686 (Skull) and E 691 (tibia), were uncovered there. On the 17th of June 1921, A. S. Armstrong and A. W. Whittington uncovered those remains at Mutwe wa Nsofu, Mulungushi Road, Kabwe, Zambia. That same year, the fossils were given a new human species name – Homo rhodesiensis. This species has, thus far, only ever been found in Africa and it is a species that is seldom used by palaeoanthropologists. Most consider it a variation of Homo heidelbergensis. A key species that diverged into Homo sapiens (in Africa) and Homo neanderthalensis (in Europe). From about 1.5 million to 500,000 years ago, is a time that palaeoanthropologists have difficulty understanding due to the particularly patchy fossil record. So, what I have described is quite simplistic and many would argue over the exact details. The two fossils represent two adults males, that lived around 1 million years ago. Sadly, given they were found in the 1920’s, excavations in the field of human evolution were in their infancy and so, grossly inaccurate. The only way to date the site was through biostratigraphy. By looking at the animals that were found in the layers in which the fossils were found, later palaeoanthropologists compared those assemblages to strata at other sites which were radiometrically dated. The Kabwe stratigraphy was quite similar to Bed IV at the Oldupai Gorge which was dated to between 780,000 years to 1.3 million years. Zambia’s National Heritage and Conservation Commission (NHCC) is now in the process of rehabilitating the site. Chief executive officer of the commission, Collins Chipote warned that though the site was intact, it needs to be secured and developed. A Kabwe Mining museum was commissioned by Minster Nkandu Luo (pictured), which will be run by the Lead-Zinc Mining company Enviro-Processing Ltd. a subsidary of the giant Berkeley Mineral Resources PLC. More effort is required on the part of Zambia to show that they have the determination to celebrate their priceless heritage and right now, there seems to be no action, but plenty of talking. Efforts to return the cranium have remained futile. 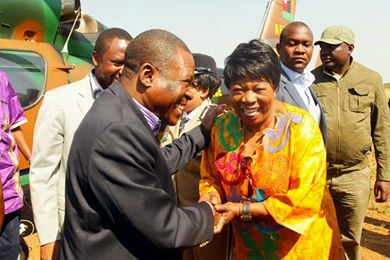 Minister for Tourism Charles Banda visited London’s Natural History Museum to engage in talks over the issue. Learn more here.